2016 is almost history but there’s always time to reflect on the things we are most grateful for. 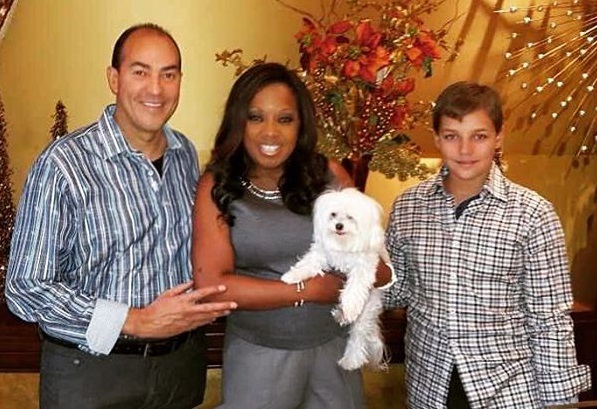 I’m grateful for a loving family, loyal and supportive friends, great health, a fulfilling career and happiness with Ricardo, Jake and Pinky. God is so good! Each and every day, I am empowered and inspired to make every moment count, because if you’re not living life to the fullest, you’re missin’ out! I know I’m fortunate to be able to make a living doing something that I am so fiercely passionate about. I’ve made it my life’s mission to bring attention to diversity and inclusion in America; advocating for women’s rights and putting women’s issues on the front burner; promoting healthy living and heart health as the National Volunteer of the American Heart Association and raising awareness through the NAPW Foundation’s four philanthropic partners: the Breast Cancer Research Foundation, the American Heart Association, Dress for Success and Girls Inc.
Of course, I know that with all the determination in the world, I cannot do it all alone. After all, rising tides lift all boats! That’s why I give tremendous thanks to all the amazing, intelligent and dedicated professional women of NAPW for inspiring me every day, supporting one another and banding together to make a difference in our communities and the world. I’ve said it before and I’ll say it again, our members are the heart and soul of NAPW! You ladies are truly exceptional and for you, I am forever grateful. What’s better than shopping and giving back? Doing it with amazing company! Louise and her team hosted their third annual ‘Supermarket Sweep’ to support the Bowery Mission’s Women’s Centers. NAPW members were divided up into teams to sweep the aisles of Duane Reade. They purchased various products and donated them all to The Bowery Mission. At the National Urban League, the winning team was announced and they held a development workshop to review what valuable skills they used and learned during the challenge. Great work, team NYC! It’s a celebration and a time to reflect! 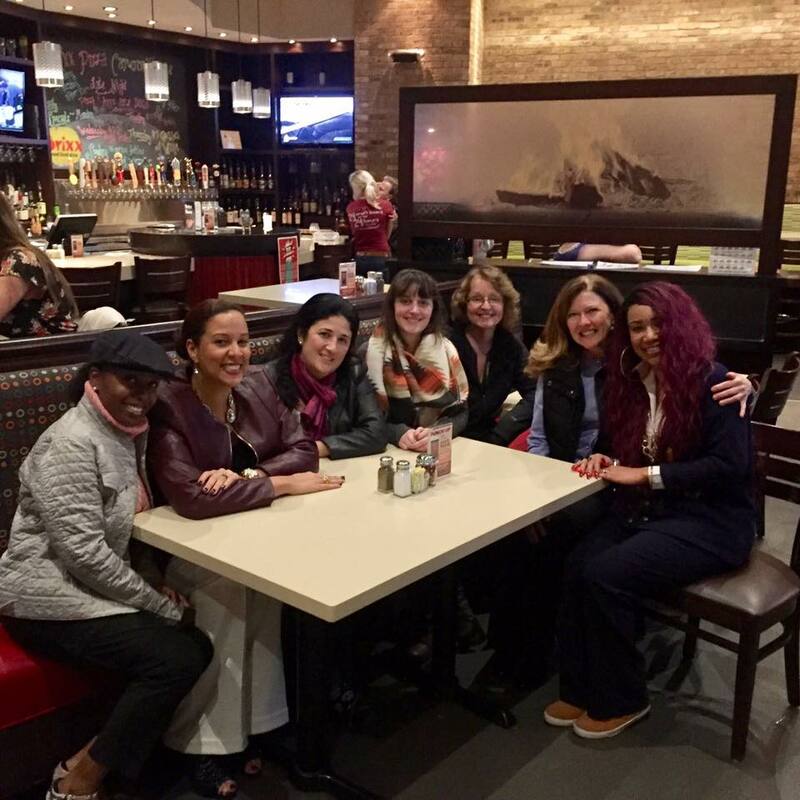 Rhonda and her team celebrated their Chapter’s one-year anniversary with a Girls Thankful Night Out to reflect on a wonderful year and everything they are thankful for. The evening included eating, drinking and of course, networking. Congratulations on one year, ladies! Networking and community outreach is what it’s all about! 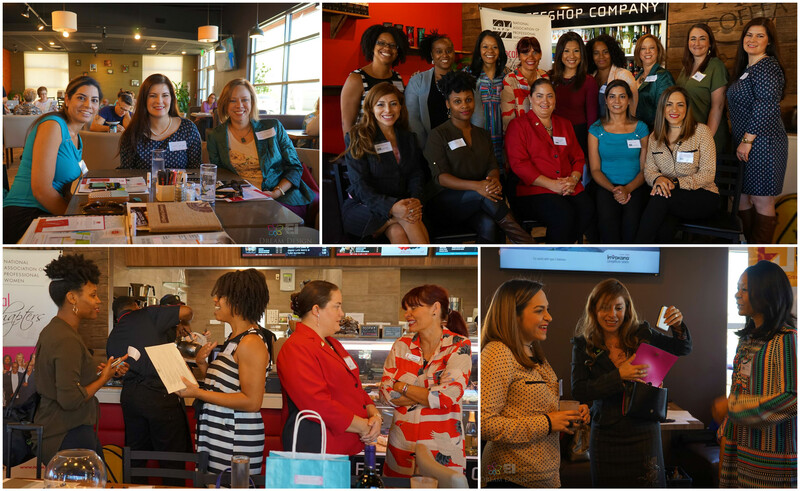 Marilyn and her team held a networking/donation collection event where NAPW members had the opportunity to promote their businesses and expand their professional reach. Everyone brought five non-perishable items with them to donate to the Thanksgiving Community Outreach Project Food Bank. Patricia and her team brought so much to the table—especially to the tables of local families! The professional women of the Naperville Chapter organized a food drive to combat hunger in their community. NAPW members who attended networked and worked together to give back to people in need. Cheers to doing good in the neighborhood! Edna and her team held a Thanksgiving Networking Luncheon where members networked, strengthened their connections and heard from a Financial Advisor who discussed the “Fundamentals of Investing.” The afternoon also included amazing giveaways and an opportunity to donate to Junior League of The Woodlands, Inc., a nonprofit organization of women committed to promoting voluntarism, developing the potential of women and improving communities through the effective action and leadership of trained volunteers. Fantastic event, ladies and awesome pictures and videos on your Facebook page! Thank you to all NAPW Local Chapters for paying it forward, this year and every year! We want to hear from you! What do you do to give back to those less fortunate? How do you celebrate the blessings in your life? Share your comments below.